Lisa is the owner of Achieve Fitness Studio in Lakewood. 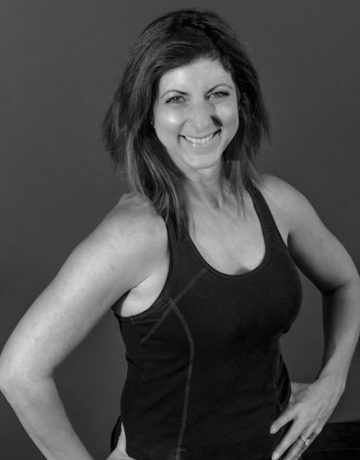 A personal trainer and group fitness instructor for 28 years, she recently became a Lifestyle & Weight Management Specialist to better service her clients at Achieve Fitness Studio. It is important to be a full service training facility because exercise and nutrition go hand and hand. Personal Training: Clients of all fitness levels–from beginners, athletes, Fitness/figure competitors, weight loss, rehab, pre and post pregnancy, menopause and seniors. Teaches: Spinning, Kickboxing, Bootcamp, Weight Training, TRX, Sculpting, Step. Certifications: Lifestyle & Weight Management Specialist (NESTA), Fitour, Johnny “G” Spinning.